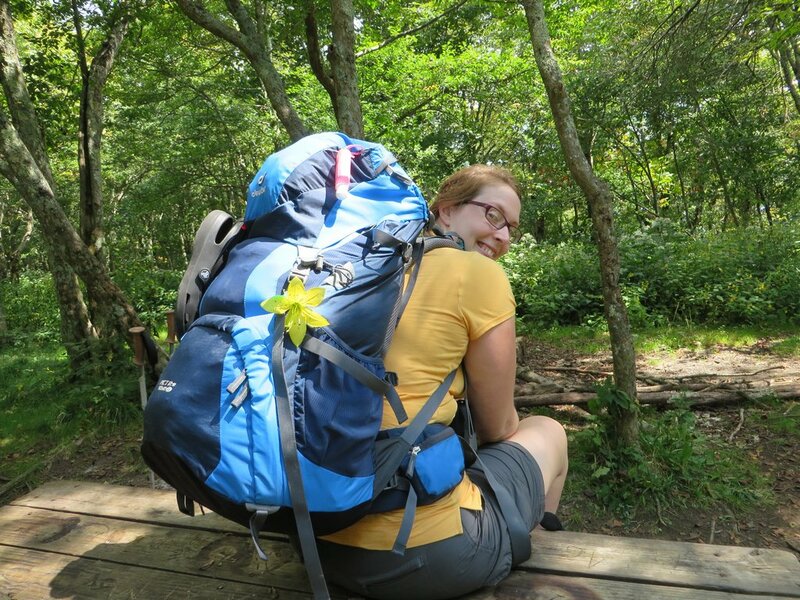 The German designed Deuter ACT Lite is designed to be a comfortable, durable, light weight backpack for multi-day excursions into the wilderness. Along with an adjustable torso, this particular backpack was designed with Slim Line (SL) straps and shoulders that fit the contours of the female body better than the average unisex or men’s backpack. Let’s see how it holds up to our testing. 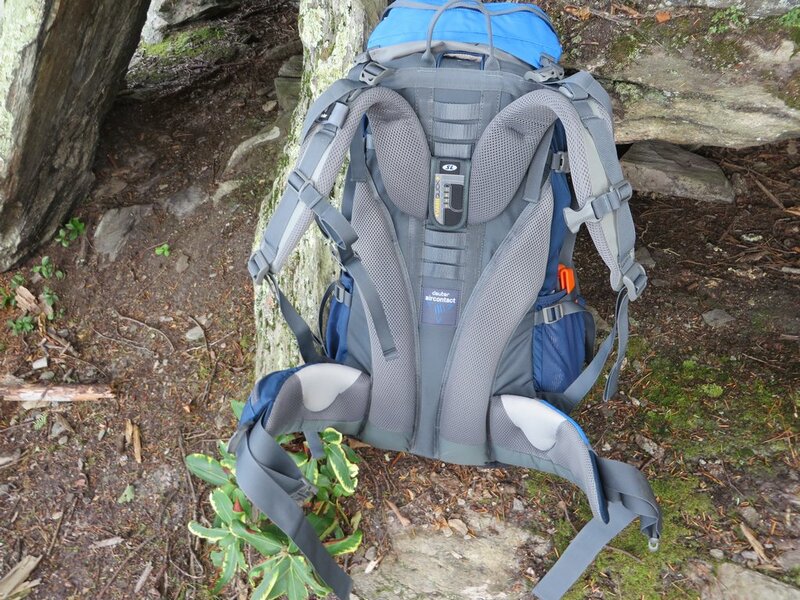 The ACT Lite is a 60 liter backpack, that’s expandable by over packing the top lid to 70 liters. the pack weighs 3 lbs 14 oz, and retails for $199. Primary storage is in the top compartment, accessible via a quick draw cord after un-clipping the lid. You can access the sleeping bag compartment by digging to the bottom of the pack, or by unzipping the pack from the back. It’s produced from a tough nylon shell that comprises most of the pack. Soft, molded foam hipbelts and shoulder pads are all adjustable. The torso adjusts by a quick system dubbed the “variquick” system. It’s a simply Velcro strap that weaves through lashings on the back panel. An aluminum “cross” frame is a added for support. It’s an X shaped frame that crosses just above the hips to provide for support, while still allowing for some flexibility. This is paired with thick foam padding across the spine, molded so that air flow can easily flow in an out, increasing ventilation and keeping your back relatively cool. It’s available in Green and Blue, and comes in a one size fits all adjustable torso. It’s built very well, and holds a full load easily. Tough nylon is abrasion resistant without being too heavy. Compression straps do a good job of cinching everything down and providing for a wobble free hike. The x frame provides great support, preventing the loaded back from bulging into the spine or distorting on long hauls. 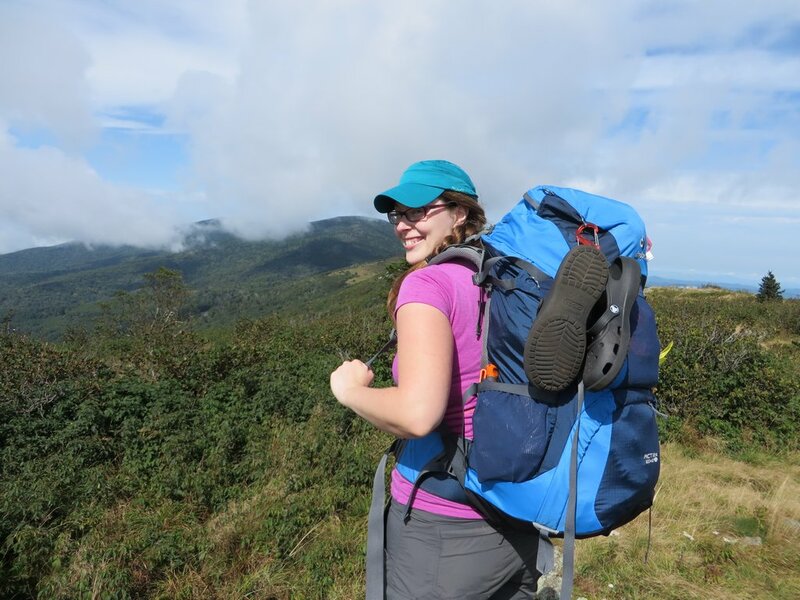 The tester rejoiced upon making camp after a 10 mile mountain trek with little back pain (unheard of in her situation). The pack sits close to the spin, further enhancing stability while navigating tricky terrain. Organization is good with a pocketed top lid, two water bottle pockets, a stretchy floating back pocket, and a sectioned off sleeping bag compartment that unzips internally to give you unrestricted access to the innards of the pack. External ice pick straps and lashing points allow you to carry an axe or other tools that you may want to connect to the outside of the pack. One large hip belt pocket made from solid nylon carries larger than average snacks while providing some water resistance. The inside of the lid has a short how to of emergency signals, just in case. It’s quite affordable, at just $199. It’s a little bit heavy, at 3 lb 14 oz for a 60 liter pack. With a pack that supports this much weight, you would assume to have some sleeping pad straps across the bottom of the pack. These are not present, so you’ll have to get creative if you’re carrying larger pads or tents externally. 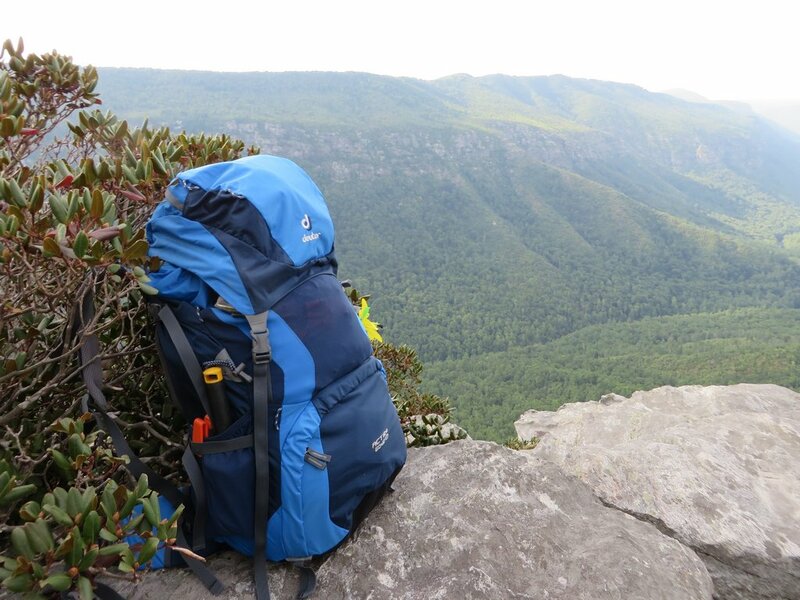 The Deuter ACT Lite 60 SL Pack offers an impressive value. It’s rare that you find a pack that is supportive, comfortable, and durable at such a low price point. 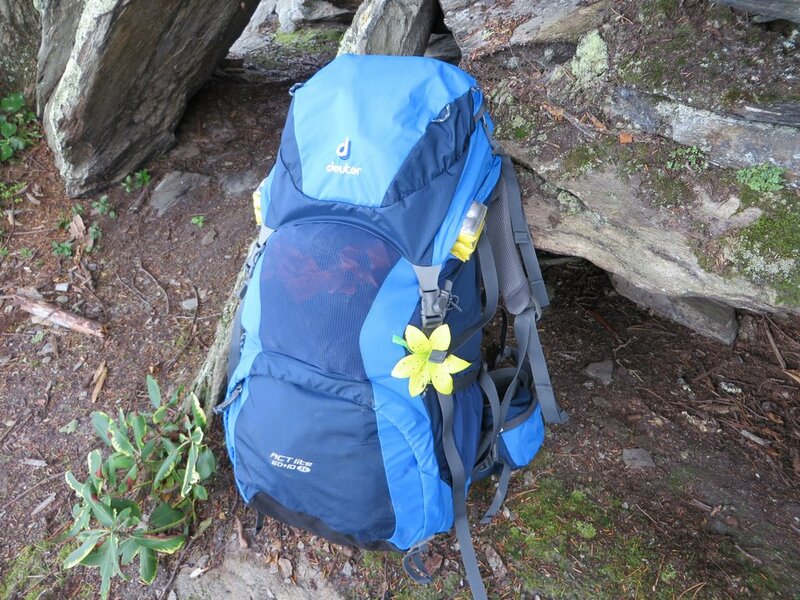 Heavy loads and lots of miles were no issue thanks to the durable frame and soft padded hip and shoulder straps. It’s a to the point, get it done kind of backpack. It’s not flashy, it’s not ultra-light, and it’s missing a couple straps I would like to see, but otherwise it’s a fantastic pack that leaves you with very little to complain about. It gets high marks everywhere that is truly important in a backpack.